Political parties need to take positions on public issues and communicate these positions publicly. In this way, voters can see what the parties stand for and choose which party to vote for. Parties often lack the skills and experience to debate policy positions and mobilize voters around their ideas. For this reason, International IDEA, NIMD, and ProDemos have created a Policy Positioning Tool (PPT) for political parties. The tool helps parties develop and promote their individual policy positions through an online voting application. As the level of internet access in emerging democracies increases, online applications can be a very attractive way for political parties to reach voters. This guide describes the technical and real-world steps involved in assisting political parties in developing and using a PPT. 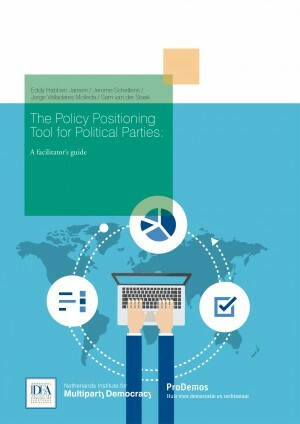 It includes a case study on the use of the tool by political parties in Lima, Peru, and is a must-read for practitioners seeking to help political parties become more effective in their internal and external communication.